An historic Scottish golf club has reported that its membership figures across male, female, junior and youth categories all rose in 2018. A Lincolnshire golf club that was due to celebrate its 125th anniversary next year has closed down with immediate effect – at least the seventh golf facility to do so in the last seven weeks. The UK’s largest private hotel owner-operator has become the second major company within a few days to acquire its first golf club. Two English golf clubs have both suffered raids in which trophies worth thousands of pounds were stolen within about 24 hours of each other. A number of golfers and people who work in the golf industry have derided a recent call for golfers to wear hard hats in a bid to reduce golfing-related injuries. A tribunal has ruled in favour of a golf club that it was exempt from paying VAT on its green fees and against Her Majesty’s Revenue and Custom (HMRC), which had said this was tax avoidance. Half of the eight UK Mack Golf clubs that closed down last month have reopened and only one will definitely remain closed, according to research by The Golf Business. As an example that some facilities are still struggling, one UK golf club has closed and another has entered liquidation in the last week. KPMG’s annual survey of the state of the golf industry in Europe has found there are just under 4.2 million members of 6,900 golf clubs in the continent. A golf club that prevented its staff from turning up to work in early October due to local crime problems has said there have been significant improvements since. From £75 million golf clubs going up for sale to several golf clubs closing on the same day, The Golf Business editor Alistair Dunsmuir tries to make sense of a lot of stories during October. The world’s fourth oldest golf club, Bruntsfield Links Golfing Society, has voted to end its men-only membership policy with immediate effect. Four years ago Whitley Bay Golf Club began a journey to create a financially sustainable and responsibly managed golf course. We look at what the plan entails, how it is being achieved and what progress has so far been made. The American Golf brand of retail stores has been saved after entering administration – but 20 of its facilities will still close down. 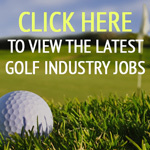 One of the UK’s biggest golf operators, Mack Golf, has stopped trading with immediate effect, resulting in the closure of nine golf venues. Smaller golf clubs in England can apply for grants to help them prepare for the new World Handicap System (WHS), it has been announced. A woman who owns an ‘upmarket golf club’ in south-east England is to be questioned by detectives about her purchase of the facility, according to The Times newspaper. Scottish Golf has voted to increase the affiliation fee all members of Scottish golf clubs over the age of 18 with playing rights pay it from £11.25 to £14.50. Tiger Woods’ 80th PGA Tour title – and his first in more than five years – came on the same day that a report in the British Journal of Sports Medicine that warns about the dangers of a decline in golf participation was published. The general manager of Glasgow Golf Club has said the historic venue has “already started” bouncing back, after a huge fire damaged 80 per cent of its clubhouse. A leading facility featuring two high-end golf courses, which entered administration in 2015, has launched a new golf club. Golf’s governing body for most of the world, The R&A, has announced it is changing its brand identity and is investing £200 million in developing the game over the next decade. Golf club membership in England has experienced a shock and large rise in the last two years, according to the most comprehensive study of golf club trends in the UK. A golf club in Derbyshire that has seen its membership drop from 350 in 2006 to 210 today has announced it will permanently close down next spring. New data from a company that analyses millions of rounds of golf in the UK has found a surge in participation of the game by women and girls since the start of this year.